As the Alternative for Germany (AfD) showed at the weekend, Europe's far-right parties often have fairly contradictory positions on the European Union, with some altering their views over the years. That could be down to the fact that many of these fairly young parties owe the European Parliament for their first taste of representative power, even as many rail against the supra-national authority the EU represents as an implicit threat to the sovereignty of national governments. Many pundits believe the continent's nationalist conservative parties will make major inroads against centrist competitors in the European Parliament elections in May, even as some want to see the EU weakened, if not abolished altogether. So what are their actual policies? Post-war Germany's most successful far-right political party finally set out its position on the EU at a party conference on Sunday. The new AfD European election manifesto says Germany should abandon the euro currency. That position that can be traced to the party's euroskeptic origins in 2013, when the AfD was founded as a direct protest against Brussels' plans to bail out Greece in the aftermath of the European financial crisis. But despite a concerted effort from the party's hardliners, the AfD has stopped short of demanding that Germany leave the EU altogether. 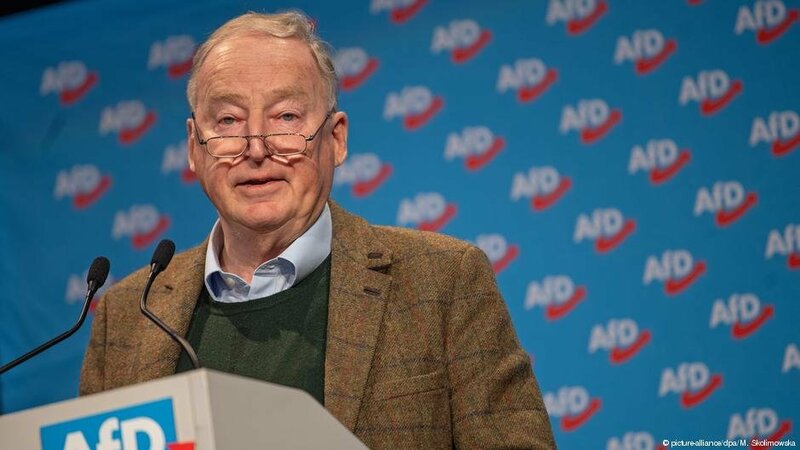 "Whoever toys with the idea of a Dexit also needs to ask themselves if this is not a utopia and should we be more realistic," party leader Alexander Gauland told delegates at the party conference in Riesa, Saxony. That compromise means the AfD supports restricting the EU to economic cooperation and opposing a joint EU defense and foreign policy. As one of the oldest far-right parties on this list, France's National Rally (known as the National Front until last summer) has held a number of different positions in its past. Initially a pro-European party, the FN U-turned in the early 2000s, when leader Jean-Marie Le Pen called for France to leave the EU and re-introduce the franc. Le Pen's FN was also perhaps the first major party to link the EU to the idea of a shadowy "world government" or even a "New World Order," planting suspicions about Brussels as a globalist, anti-democratic conspiracy. His daughter and successor Marine Le Pen, who has successfully shifted the party to the mainstream (it took 25 percent of the vote in France's European election in 2014), does not want the EU abolished, but does want an end to one of its guiding freedoms. She has called for Europe's border checks to be reinstated and the Schengen free movement area to be ditched. Last year she also denounced the EU's "arrogant tyranny" and the "European oligarchy barricaded in Brussels." Lega Nord (or just Lega, as it was rebranded ahead of last year's Italian election) has slowly crept from its regional roots to establishing its appeal across Italy — it is now part of the government in Rome, with its leader, Matteo Salvini, serving as both deputy prime minister and interior minister. Salvini is also a fierce critic of the EU and the euro, which he once described as a "crime against humanity." Indeed, Salvini's leadership has dragged Lega closer to euroskepticism. 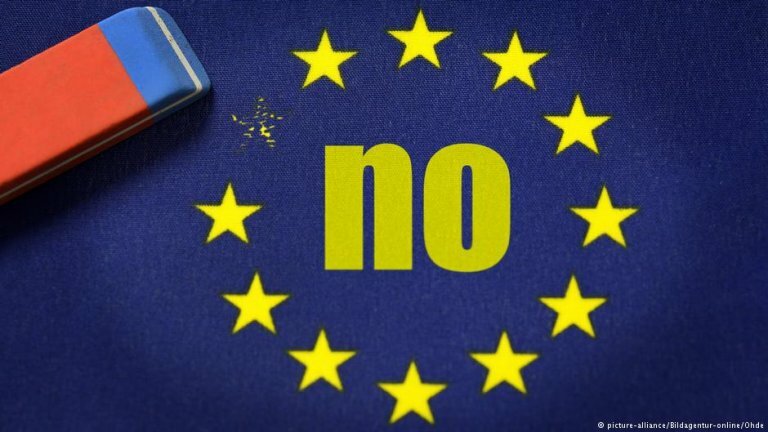 While Lega voted in favor of the Treaty of Lisbon, the constitutional basis of the EU, signed in 2007, Salvini and other major Lega figures have called for Italy to leave the bloc. 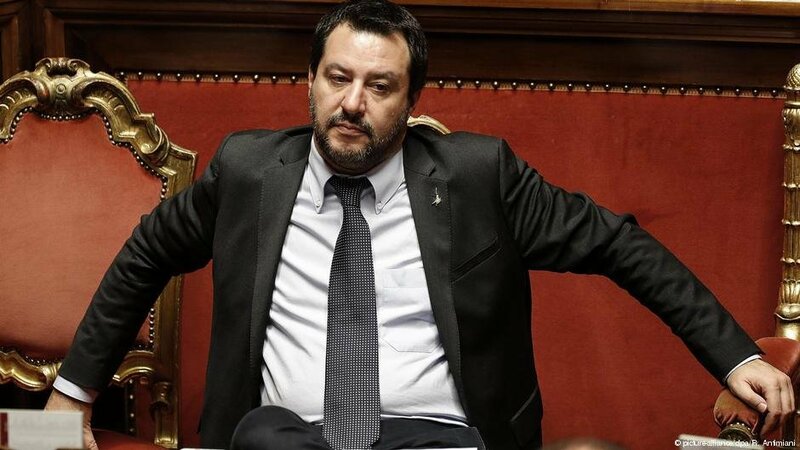 That is not the official party position, however, and is a marked change from positions expressed by Salvini's predecessor Roberto Maroni, who advocated the direct election of the European Commission president and the acceleration of European integration. UKIP was founded in 1991 with the sole purpose of opposing the EU and all it stood for, eventually spearheading a movement under long-term leader Nigel Farage that led to the Brexit referendum in 2016. The party continues to insist that the EU is fundamentally undemocratic, and has emphasized its opposition to the bloc (especially its perception that the EU is responsible for allowing migrants into the UK) much more strongly than any other party in Europe. Though it has widened its focus to other issues in the past few years, UKIP's policies are still often framed in terms of how they relate to the EU. 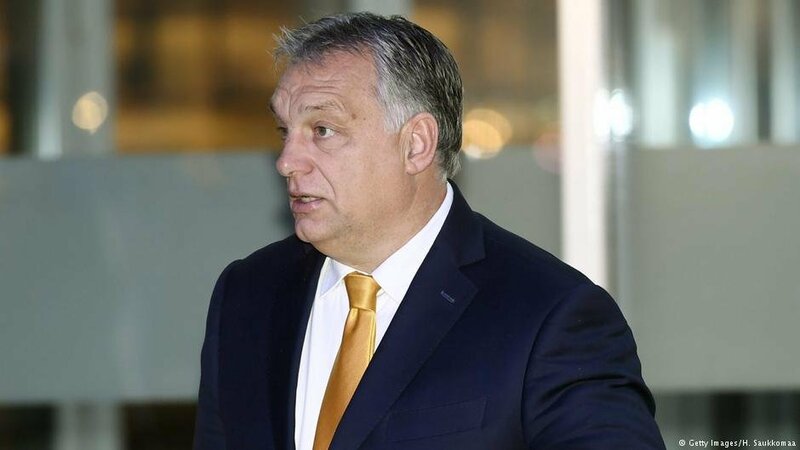 The party of Hungarian Prime Minister Viktor Orban has also radically shifted its position on Europe since its foundation in 1988, when it began as a student movement that favored closer European integration, and when it campaigned for Hungary's accession to the EU in 2004. Since then, Orban's party has become more and more conservative, and his rhetoric increasingly anti-EU. But despite this, and the fact that the EU has instituted dozens of procedures against Hungary for violating its membership criteria, Orban's increasingly authoritarian government has made no move towards leaving the bloc. Poland's conservative ruling Law and Justice (PiS) party has taken a broadly anti-Brussels position, favoring closer ties with the United States and opposing closer integration in the EU. The PiS' nationalist tendencies have led it to more and more anti-EU rhetoric — especially in the wake of the influx of refugees into Europe in 2015, when both Poland and Hungary vehemently resisted Brussels' attempts to introduce a migrant quota. Indeed, PiS leader and former Prime Minister Jaroslaw Kaczynski has publicly declared his party's alliance with Orban in Hungary. Perhaps closest in spirit to UKIP, the second-largest party in the Dutch parliament has always favored withdrawal from the EU. Like UKIP, the Party for Freedom (PVV) has consistently held the EU responsible for the influx of migrants to Central European members states such as Poland and Romania. Its other positions include abandoning the euro, abolishing the European Parliament and no cooperation in any EU activity.